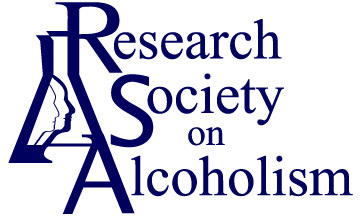 The primary goal of the Annual RSA Scientific Meeting (“Meeting”) is to provide a forum for alcohol researchers – from all disciplines – to present their latest findings and to learn about new research developments in an environment that will provide interaction at both the professional and personal level. The Meeting begins with an Opening Reception (meet and greet style) on Saturday evening and ends with the Closing Ceremony (sit-down dinner with presentations) on Wednesday evening. The Sunday through Wednesday program includes plenary lectures, symposia, workshops, roundtable discussions, Enoch Gordis Award paper sessions and poster sessions. The Program Committee is made up of RSA members who represent a wide range of scientific specialties. Their goal is to develop a well-balanced program that adequately reflects the broad range of interests of the RSA membership and non-member alcohol researchers. It is important to note that topics covered and the balance achieved in the overall meeting program primarily rests upon proposals submitted. Mid October – Call for Abstracts and initial Meeting materials opens. Early December – submission deadline for Program Proposals, Speaker abstracts and Satellite/Ancillary meeting proposals. Early January – submission deadline for Poster Abstracts. Early January – submission deadline for Student Merit/Junior Investigator Funding application, Enoch Gordis Research Recognition Award applications and Undergraduate Diversity Travel Award application. Submission deadline will now coincide with the submission deadline for Poster Abstracts each year. Late January – submission deadline for RSA Awards Nominations. Mid March – Meeting Registration and Lodging opens. Program proposals are solicited within three general themes; biological/preclinical, psychosocial/medical/clinical and translational research and organized as symposia, workshops or roundtables. In recent years, proposal acceptance has become highly competitive due to an increase in number of submissions and available slots. Organizers are encouraged to use an integrative approach and to include participants from different institutions; providing relevance to a broad audience and diverse viewpoints. Speaker abstracts are required for Symposia and Workshops, but are optional for Roundtables. Speaker abstracts should provide adequate detail, not an overview, and follow the required format. Submission is open to RSA members and non-members alike. Speaker abstracts for non-members; however, must be endorsed by an RSA member. RSA’s goal is to make the presentations relevant to a rather broad audience of alcohol researchers. To this end, the Committee strongly encourages both junior and senior researchers to submit proposals. Inclusion of ethnic minorities and early-career scientists and/or those from outside the United States is also encouraged. Biological/Preclinical: refers to non-human based research in areas such as ontogenetic, physiological, genetic, cognitive/behavioral or neurobiological studies, as well as research in pre-clinical models of alcohol intake and alcohol-related disorders. Psychosocial/Medical/Clinical: refers to human-based research that includes physiological or non-physiological studies of cognition, behavior or social factors, along with epidemiological and prevention research. Includes basic laboratory-based physiological research with humans (with or without medications/alcohol), clinical trials, human neuroimaging and genetic studies. Translational: refers to studies that are explicitly designed to cross usual disciplinary boundaries; e.g., biomarker versus function, laboratory-based vs clinical outcome, human versus non-human on a specific behavioral outcome, the application of results from clinical studies to clinical practice. Symposium: intended to highlight progress and exciting new developments in a field. They should comprise a 5-minute introduction (3 slide limit) followed by 4 presentations consisting of 18-minute talks and a 13-minute discussion/question period (no slides). Total time is 90 minutes. Speaker Abstracts are required for each presentation and are a separate submission process. 3 presentations consisting of 20-minute talks each and a 25-minute open discussion at the end. 4 presentations consisting of 15-minute talks each and a 25-minute open discussion at the end. Total Time is 90 minutes. Speaker Abstracts are required for each presentation and are a separate submission process. Roundtable: intended to present controversial points of view in a format that encourages a lively exchange and participation. They should comprise a brief introduction followed by presentations/discussions of different viewpoints of up to 6 panel members and a 25-minute open discussion at the end. Total Time is 90 minutes. Speaker Abstracts are not required. Individuals may give only one oral presentation. When inviting your speakers, confirm they have not already been invited to speak in another symposium, workshop or roundtable. If someone is listed as a speaker on more than one (1) proposal, a replacement speaker will be requested prior to committee review. The limit is involvement of any kind in two (2) sessions. Presenting an introduction or being a discussant does not count as an oral presentation; however this is also limited to one per person (i.e., Dr. Jones can present an oral presentation in one session and be an introducer or discussant in one session). The introduction and discussion should be an overview of the presentations - not a separate presentation. No individual may participate in more than two sessions (any format). Program organizers will be required to find a replacement, prior to proposal review, if a listed individual is already a proposed speaker on another session or participant (i.e., intro, chair, discussant) in two sessions. RSA does not provide funds or waive registration for participants in Symposia, Workshops or Roundtables. It is the organizer’s responsibility to inform all participants that, if proposal is accepted, they are required to register for the meeting. Organizer(s) and Chair(s) must have an established profile in RSA or one will need to be created. Title of Proposal is limited to 22 max word count. Theme, Category and Format must be indicated. Letter of Assurance stating all participants are aware of the requirement to register for the meeting. Name of individual for the role of Introduction. Name of individual for the role of Discussant/Questions Moderator. Name of each speaker and the title of their talk/presentation. Titles are limited to 22 max word count. Complete Proposal – 925 max word count. For individuals who have been invited to give a talk in a proposed session. An abstract for each oral presentation is required for Symposia and Workshops, but is optional for Roundtables. These abstracts become part of the overall Program used for Program Committee review, as well as the final Online Program and Web App. RSA does not provide funds or waive registration for individuals giving an oral presentation (Speakers). All Speakers are required to register for the meeting. Speakers may register for the entire meeting at the RSA Member’s rate or choose the Daily Registration option for up to two (consecutive) days. Non-member Speaker Abstracts must be endorsed by an RSA member. Speakers may elect to have their abstract considered for poster presentation if the Program Proposal is not accepted. Principal Author must affirm the abstract represents primarily unpublished findings and communicates novel findings that pertain to alcohol research. Also, affirms that if the Program Proposal is accepted, one of the authors will be available to give the oral presentation. Speakers are required to list three (3) recent publications. Students can put N/A if less than 3 or none. All speakers are required to complete a Conflict of Interest Disclosure form. Proposal Category, Poster Consideration, Principal Author Affirmation are required. Title – should be entered in all CAPS (22 max word count). Authors – should be entered as first initial(s) and full last name. (35 max word count). Affiliation(s) – should be entered as Affiliation, Department, City, State, Zip and Country. (35 max word count). Abstract – should include purpose, methods, data, results and conclusions. (360 max word count). The Fetal Alcohol Spectrum Disorder Study Group and most satellite meetings will be held on Saturday. Individuals or organizations interested in organizing a satellite meeting must submit a Satellite/Ancillary Meeting proposal. The Meeting includes four (4) Poster Sessions which provide an opportunity for researchers of all levels to present their work in an informal setting; allowing for questions and discussion. There is a non-refundable $38 payment required for each submitted abstract. Poster Abstract submission is open to RSA members and non-members alike. Abstracts for non-members; however, must be endorsed by an RSA member. Individuals are allowed only two poster presentations. If someone is listed as the presenter on more than two (2) posters, a replacement presenter will be required. Poster presenters are required to register for the meeting. Poster presenters are not ‘Speakers’ and are not eligible for that registration category. Non-member Poster Abstracts must be endorsed by an RSA member. Principal Author must affirm the abstract represents primarily unpublished findings and communicates novel findings that pertain to alcohol research. Also, affirms that if accepted, one of the authors will be available to make the poster presentation. Poster Category, Poster Consideration, Principal Author Affirmation are required. The poster mounting area will be 45” x 45” (115cm x 115cm), so poster size is restricted to those dimensions. Poster Numbers will be placed in the top left corner. Push pins will be available for your use. Posters should be mounted between 7:30am and 9:00am on the scheduled day. Posters should remain mounted until the end of the Poster Session, but must be removed immediately afterward. A limited number of Student Merit / Junior Investigator Meeting Awards will be provided to individuals who are the presenting author of a poster or giving an oral presentation. The corresponding abstract (Speaker or Poster) must be submitted by the designated deadline. Awards are funded by a National Institute on Alcohol Abuse and Alcoholism (NIAAA) conference grant. The awards are intended to help defray costs associated with attendance at the Meeting. Awards cover the cost of meeting registration only or meeting registration and a very minimal travel stipend. Students and eligible postdoctoral fellows (no more than 5 years from degree) who will present their research as a first author at the meeting are encouraged to apply. A Poster abstract is required of all applicants, even if abstract has also been submitted for oral presentation (speaker abstract), and must be submitted by the designated deadline. An additional expanded abstract (900 maximum word count) and letter of support are also required as part of this application. Finalists will be required to present their research during a poster session and paper session. Separate awards (monetary and plaque) are given for graduate students and postdoctoral fellows. Poster abstract (required of applicants) must be submitted by the designated deadline. A travel award opportunity for under-represented minorities to attend the RSA Annual Scientific Conference and present their research during a poster session. Current Undergrads (within 1 year post-undergraduate degree at the time of the meeting) will be awarded based on the quality of their poster abstract and those awarded will be paired with multiple mentors who will help them navigate the meeting. Applicant must be first author and only one application per person and per abstract may be submitted. Honor your deserving colleagues with an RSA award -- being recognized by your peers is the best form of thanks! Do not let a little paperwork stop you from nominating a colleague -- qualified nominations are carried over for two subsequent years. Nominations open to members only. For-profit Corporations (or foundations of for-profit corporations) are not permitted to sponsor any symposia, workshops or roundtables. They may rent exhibit space ($800) by submitting an Exhibitor’s Prospectus and are encouraged to make a donation to the Society. © 2019 Research Society on Alcoholism. All rights reserved.